Perhaps you have a new job in another country, or maybe you are retiring to some exotic land that you have always dreamed of. In either situation, you will be taking your treasured collection of antiques and fine art with you. This can be an aggravating situation – you want your precious items to come through the long journey unscathed. This is a perfect time to contact your personal Global Van Lines Moving Concierge for help in hiring a reliable and experienced international goods shipper to safely transport your valuable and delicate antiques and art. Your experienced Moving Concierge can connect you with a reliable team of packing experts who will carefully wrap and pack each item, taking their weight, materials, and measurements into consideration. Only the highest quality, acid free protective materials should be used for valuable art and antiques to protect them from potential damage and harsh elements. If your items are unusual in size, you may want them custom crated and evaluated on a case-by-case basis for added protection. A custom crate can be adapted to accommodate any item regardless of size or shape. A standard crate may work well too, and the design allows it to be unpacked from top or bottom. A crate can even be disassembled for easier unpacking of large, unusual items. Generally, plywood or pine are used for crates. 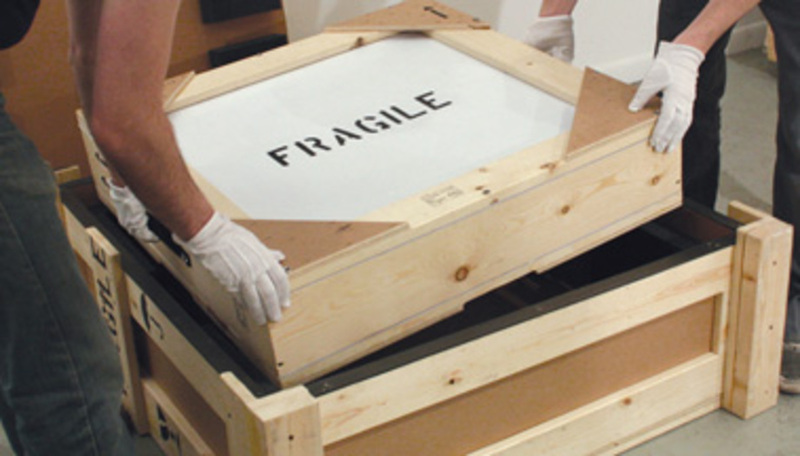 Once your artwork, sculptures, painting, and antiques have been carefully packed, crated, and made ready for shipping, your Moving Concierge can help you find the best overseas shipping options for your goods. We can help ensure that your shipment arrives safely, and we can assist with paperwork and customs as needed. You may need your items stored upon arrival for just a few days or even longer until your new home is ready to receive them. Global Van Lines can assist you with finding the appropriate facilities that are climate controlled for their protection. Your Global Van Lines Moving Concierge has years of experience in the moving industry. You benefit from their expertise, knowledge, and access to an international network of highly trained, skilled service providers. Contact Global today for your moving needs.